You really can't beat the value of the Sunday Evenings 5k. I love this race: it's family-friendly, there are raffle prizes, it's a nice hilly course through a beautiful residential neighborhood, and registration includes a delicious supper. The race is also the 7th event in the Red Lizard Summer Series, which pulls in a number of very competitive runners. The race shirts are available for purchase ahead of the race for just $8. Based on feedback from previous years, there is an extra-small size available for those more petite runners. Those who win their age division (divisions include age 10-14, 15-19, 20-24, 25-29, 30-34, 35-39, 40-44, 45-49, 50-59, 60 and better) will earn a medal, with larger medals for the top 3 overall male and female finishers. In 2015, there were 258 finishers, nearly all of whom were signed up as runners. 2016 registration is ahead of pace from last year, so all signs indicate an even larger turnout for this year's event. The course is very walker-friendly as well. Also welcome to run the course are well-behaved dogs on leashes, and runners pushing strollers. Because the race is chip-timed, they are able to start near the back to avoid any "run-ins." 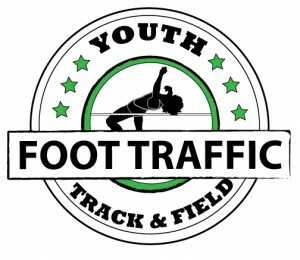 The 5k course is primarily on sidewalks, and the road crossings are made safe for participants by the Beaverton Police Department and the City of Beaverton’s support. The 1-mile fun run is super safe: volunteer organizer Carl Stubblefield says, “it crosses no roads–goes along a continuous sidewalk or on our property.” A cyclist will act as the sweeper on the course to make sure all participants finish safely. 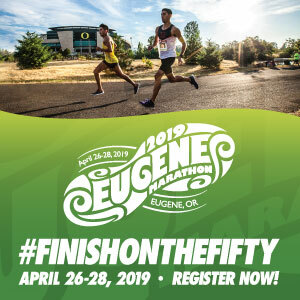 University of Oregon runner Dawna Stutzman, who ran for the Ducks from 1976-1979, will be there to speak after the race. She recently celebrated 25 years of teaching and probably has some really good stories to share! I mentioned the raffle earlier; it’s like a door prize drawing that every participant that pre-registers (online) is eligible for. Prizes have been donated by local businesses including Ace Hardware, Safeway of Beaverton, Pharmaca, Great Clips, Godfather’s Pizza, Sports Clips, New Seasons, and Kumon Math & Reading Center. Some other locally-owned businesses helping the race out include Portland Running Company, who are providing their finish arch, and Zornick Timing.